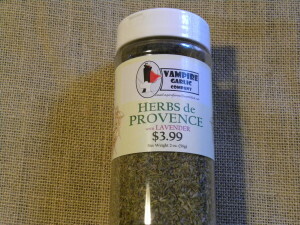 Herbs de Provence is a combination of herbs that are typical to the province of France called Provence. It contains mostly savory leaves, thyme, lavender, and basil, along with other herbs & spices. It pairs well with tomato and vegetable dishes and adds French flair to grilled foods, chicken, pork, seafood, stuffing, marinades, soups, gravies, and salad dressings. For maximum flavor, add before or while cooking. GLUTEN-FREE, NO MSG, NO SODIUM, & NO SUGAR.